The 2nd of 5 parts to this the story of Aoleon and Gilbert. 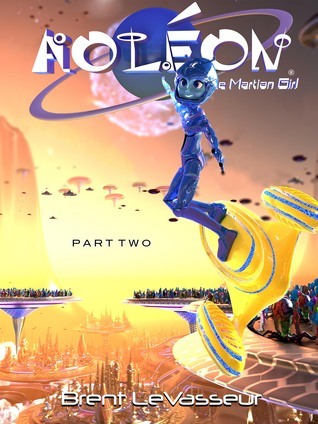 Again as with the first book, Aoleon the Martian Girl, this is a nice illustrated story. The colors are vivid and bright, totally capturing the essence of this story. It is great to put faces to names and places, this fits the bill nicely. Continuing where book one left off, Aoleon and Gilbert head off to school and social events. Even though their backgrounds are worlds apart there are things that are quite similar. Bulling, pizza and petty jealously (to name just a few) are encountered here, but because there are more books in this series this book seems to be preparing the way for more exciting adventures with this pair. I like both Aoleon and Gilbert with different personalities together they bring this story to life. I am reading my ebook on iPad to take advantage of the color pictures, this I highly recommend or read on your computer. Definitely not a stand alone story, they should be read in sequence to get full enjoyment.